The classic crossword series returns with 300 never-before-published puzzles! In 1924, Simon & Schuster published its first title, The Cross Word Puzzle Book. Not only was it the publisher’s first release, it was the first collection of crossword puzzles ever printed. Today, more than eighty years later, Simon & Schuster’s legendary crossword puzzle book series maintains its status as the standard-bearer for cruciverbal excellence. This series continues to provide the most challenging, fresh, and original puzzles on the market. Created by the best contemporary constructors—and edited by top puzzle master John M. Samson—these Thursday to Sunday–size brain breakers offer hours of stimulation for solvers of every level. 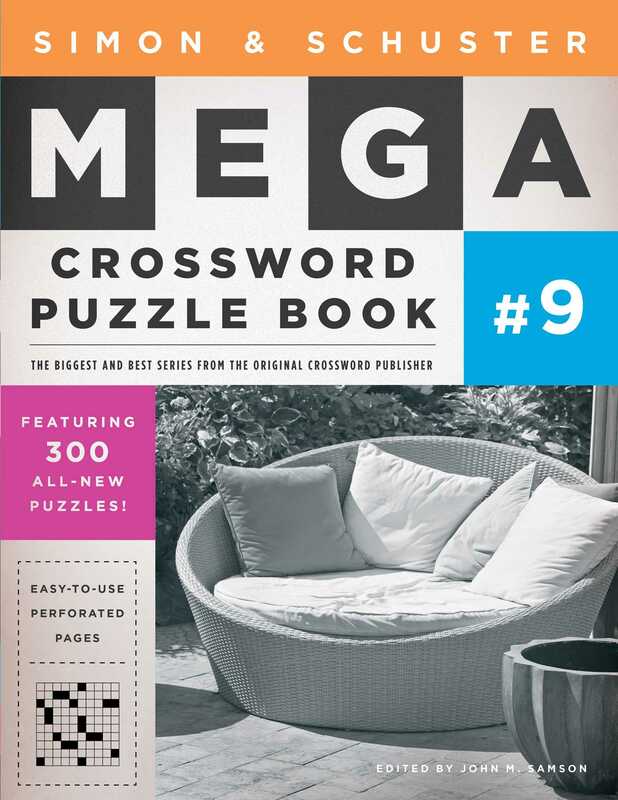 With hundreds of puzzles in one volume, the Simon & Schuster Mega Crossword Puzzle Book will test the knowledge of solvers everywhere. Can you avoid turning to the answer key? Sharpen your pencils, grit your teeth, and find out!